A few years ago 3D printing seemed like something out of science fiction but recent developments in the technology look set to make 3D printing more widely used. In 2013, architects in Amsterdam are building a 3D printed home; scientists in Scotland have proved they can print embryonic stem cells and aircraft manufacturers are working on ways to construct 3D printed planes. By 2025, it’s estimated that the 3D printing industry will be worth $8.4 billion and it looks set to be the next revolution in manufacturing. 3D printers work by layering thin slices of material on top of one another to create three-dimensional objects. The printers work from files generated by CAD (computer-aided design) software or by scanning an existing object using a 3D scanner. The majority of 3D printers use materials such as plastics, rubbers or soft woods, but experiments with metals and biological material are under way. With the cost of 3D printers plummeting from $10,000 2 years ago to around $1,500 now the technology is coming into the price range of many more individuals and companies. 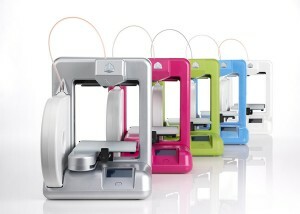 Although 3D printing has the potential to allow companies to manufacture their products locally, in smaller, more manageable amounts, and to effectively avoid the well-established manufacturing and supply chains, it also makes it easier for counterfeiters and domestic users to print their own copies of products. Once a 3D blueprint file has been created it is a short step to it being made available online. File-sharing websites such as the Pirate Bay already have a category for 3D printing. The recent release of the blueprint files for a 3D printed gun shows the increased interest and availability of the technology, and is a serious cause for concern for many. The blueprint used to produce a 3D-printed plastic gun has been downloaded about 100,000 times since being made available online at the beginning of May, according to Forbes. The increase in the use of 3D printers and the availability of 3D printing blueprints creates a range of issues for IP and could leave brand owners and inventors at serious risk of counterfeiting, piracy and patent and trademark infringement. Current UK IP legislation offers little protection for rights holders. In order to contend with outdated IP laws and an online community that favours open-source thinking, designers and inventors will have to learn from the music industry and find new ways to handle the market-driven nature of the new technologies. We are delighted to welcome Tom Harris to the Sanderson & Co team. Tom graduated from the University of Oxford in 2006 with a first class MEng in Engineering Science. He then worked as an electronics engineer for Qinetiq Ltd for a year before training as a patent attorney at a large London based firm of patent and trademark attorneys. He achieved qualification as a UK Chartered Patent Attorney and as a European Patent Attorney in 2011. His technical expertise lies in mechanical, electronics and software related inventions. He has experience in drafting patent applications, in prosecuting patent applications in the UK, in Europe and internationally, and in opposing European patents. He also provides advice on infringement issues and registered designs.